All while looking like someone who’s never had a bite of cake in their life. As proof, I’d like to rush a copy to your doorstep absolutely FREE. Each recipe leverages the power of the keto diet. And if you think you’ve “heard it all” about the ketogenic diet... think again! Because sure, keto is making waves everywhere. It’s recently been featured on popular shows like Rachel Ray and Dr. Oz. Backed by leading doctors and nutritionists, It’s even used by celebrities like Halle Berry and the Kardashians. It works by putting you in a state of “ketosis”. Which means your body uses its own fat as fuel. In turn, instead of the constant rollercoaster of energy levels… you’ll glow with all-day, beaming energy. Better yet: the excess weight practically falls off your trouble areas. It has no other choice! And lets us indulge in appetizing, low-carb, keto-friendly versions of everything we’re told to “give up”. 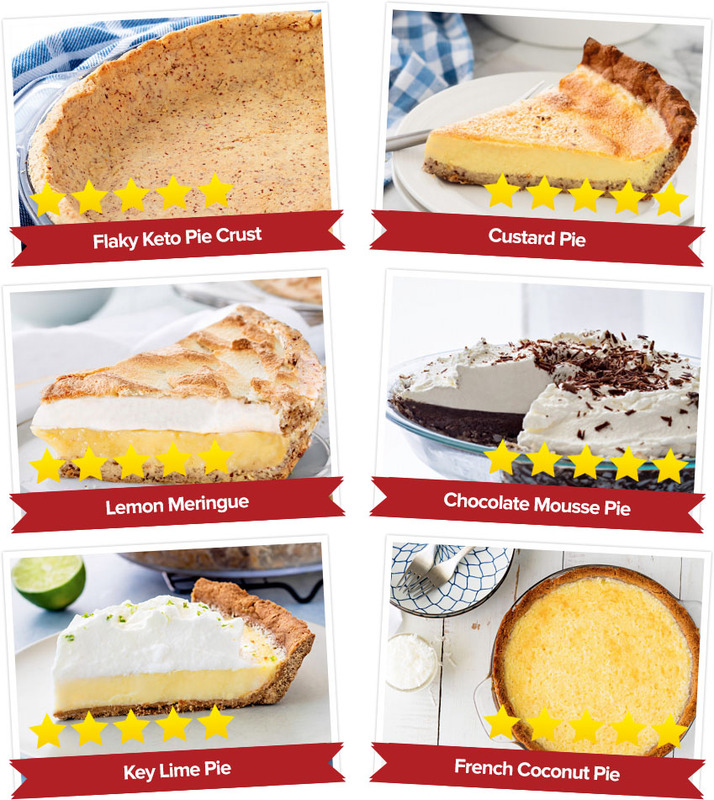 Key Lime Pie… Strawberries & Cream Popsicles… Layered Mocha Cheesecake… Graham Crackers… all while still slimming your waistline. Wait until you see gorgeous photos below. Hi, my name is Kelsey Ale. And I’d like to send them to you for FREE. WITHOUT giving up your favorite guilty pleasures. And WITHOUT resorting to the same, bland diet food every day. And no matter if you’ve lost weight before, only to gain it back weeks later. I didn’t know I was going to end up in ER that night. It was a regular Thursday morning. And as I got out of bed, I whipped up what at I thought at the time, was a “healthy” breakfast. Yet despite doing everything “right” for 3 months, I was overweight. My face was inflamed. My joints creaked. I just felt so… meh. And I wouldn’t wish that feeling on my worst enemy. Because the second noon hit that day, my stomach suddenly felt like it was trying to digest broken glass. And my head pulsed with each breath. 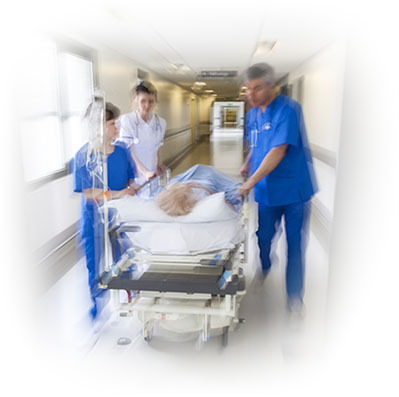 So I had my friend take me to the hospital. And as you can probably guess, they couldn’t tell me what was wrong. They told me to go and “sleep it off”. I felt deflated. I wanted to give up. I couldn’t stand feeling this way anymore. And it wasn’t until I stumbled upon an all-natural, whole foods, ketogenic diet did my results really take off. As you can see, keto works like gangbusters. Almost instantly, my digestion and stomach problems vanished. My joint pain was lifted. And I was overflowing with energy. But like I said before, the only drawback? Keto makes you cut carbs, which means I couldn't have cookies, cakes, brownies, and everything in between. As a result, my cravings went bonkers! And I really wanted to still enjoy my infamous brownies for my family and friends. And to celebrate, I’d like to ship you a copy for FREE! 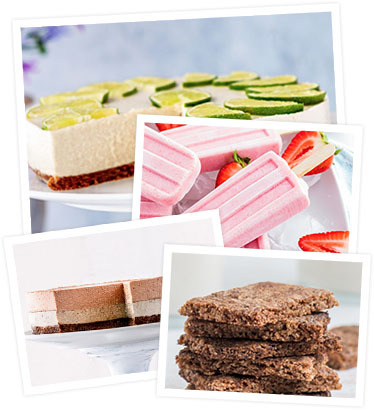 Because let me tell you: you’d never guess these are healthy, fat-burning desserts… but that’s the beauty of it all! That’s why inside Keto Sweets, you can rest assured every recipe is bursting with flavor. The cookies are crispy on the outside and chewy on the inside (exactly how I like ‘em). And the cherry on top is they’re low-carb, with zero sugar, gluten, and any other toxin. But instead of telling you about it, why don’t I just show you? What’s really cool is most of these can be made within minutes… and without any expensive equipment. Meaning using exactly what you have laying around your kitchen right now, you can dig into a creamy bowl after work… guilt free! Want to be the hit of any party you attend? Give these 8 decadent cakes a go, they’re guaranteed to light up any room! Birthday parties… office get-togethers… or just a regular friday after work… the occasion doesn’t matter. Even if you’re not a whiz in the kitchen. Just use my simple-to-follow instructions, they couldn’t be easier. And your trim tummy and boundless energy will be all the proof you’ll need. Now, tell me: is your mouth watering as much as mine is right now? Each ingredient can be found at your local grocery story. So these recipes aren’t just delicious and good for you, they’re convenient too! Goodbye grueling grocery store visits… hello delicious crowd-pleasers. As you’ll see below, that’s just scratching the surface. There’s only one thing better than a warm, crispy brownie… and that’s 6 of them! So the bottom line is this: there’s something for everyone! Will you tell them it’s Keto Sweets? Even if you struggle to make the most basic recipes, you’ll still be able to make the tasty recipes in Keto Sweets. In fact, we actually get emails all the time from customers who make the desserts with their grandkids. So if a 10 year old can make the desserts in Keto Sweets, I’m convinced you won’t have any issues. Now, one other concern I hear from customers is about the ingredients. And you’ll find every ingredient at your local grocery store… how cool is that? If this is your first cookbook, then sure, some of the ingredients will be new. But most -- if not all -- are laying around your kitchen already. provide you a guide to show you where to get the ingredients for the best prices). 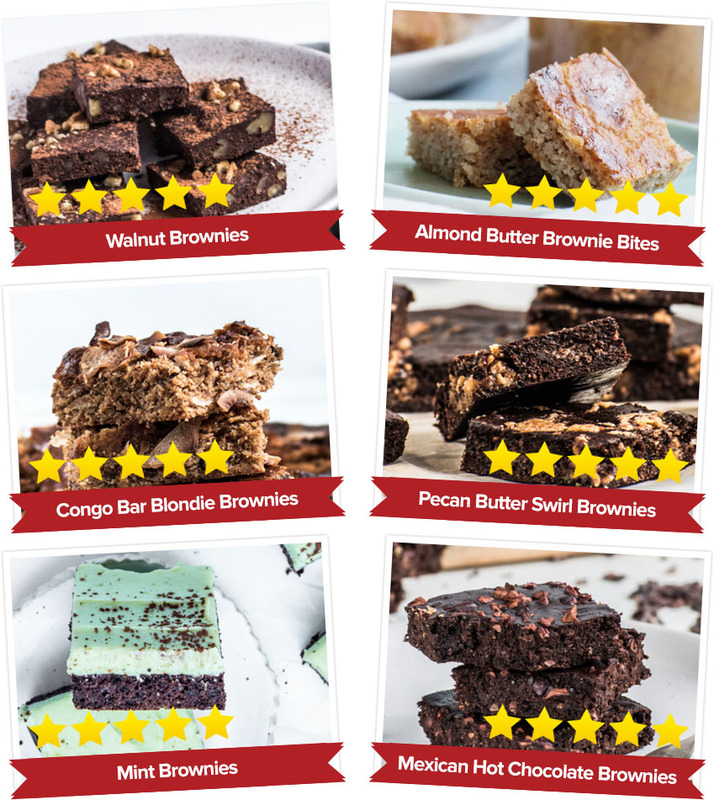 I know baking can seem intimidating, but I specifically created the recipes in Keto Sweets to be healthy, delicious, and most importantly, simple. 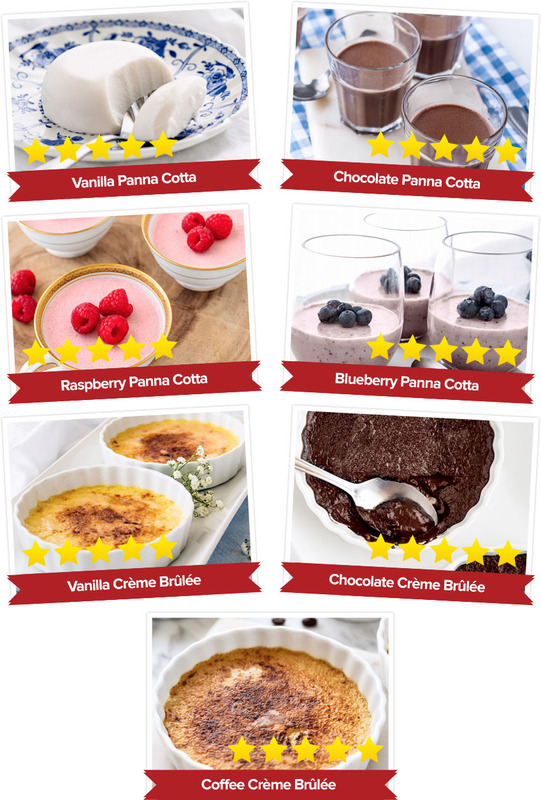 80 mouthwatering Keto dessert recipes, shipped right to your door, for FREE! 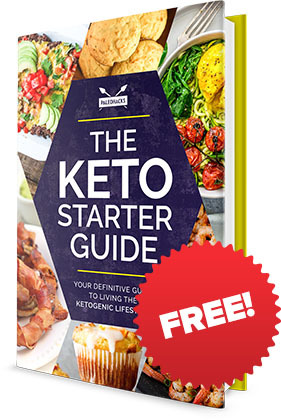 So if you want these delicious recipes to keep your body in “ketosis” and get the results you’ve always dreamed of… then grab your copy this second. We have 500 copies available, and they’re given out on a first come, first serve basis. All I ask is you throw in a couple of bucks for shipping and handling. Desserts are great, but unfortunately, we can’t eat them for every meal. I know, this makes me sad too! 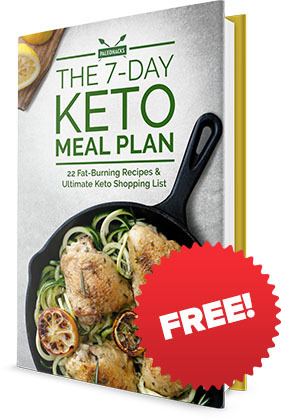 To ensure you’re covered all day long, we’re also going to include a digital copy of our 7 Day Keto Meal Plan. And it’s exactly what it sounds like: 7 days worth of breakfasts, lunches, dinners, and snack recipesto keep burning fat all day long. With both Keto Sweet and this by your side, there’s nothing standing in between you and the figure you want. 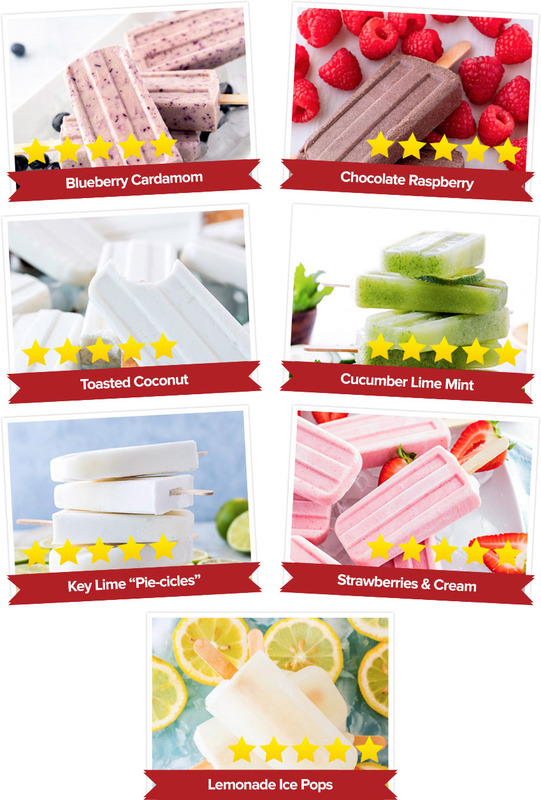 As I said, the ingredients you need for Keto Sweets couldn’t be easier to find. That said, I know some of you want a guide you can print out, prop on your fridge, or just carry with you as you go shopping. Inside, you’ll get a PDF that includes EXACTLY where to get every ingredient, how much to pay for it, and how to get in and out of the store in minutes. In fact: we’ll even provide backup options if for some reason any of the places we mention happen to be out of stock! That’s right: you’re covered no matter what. This gift is worth $14.95, and it’s yours for free with Keto Sweets. Because Keto is ultra popular right now, there’s a lot of misinformation out there about what is actually keto, to the point where you might be told that a recipe is Keto when it’s actually NOT! 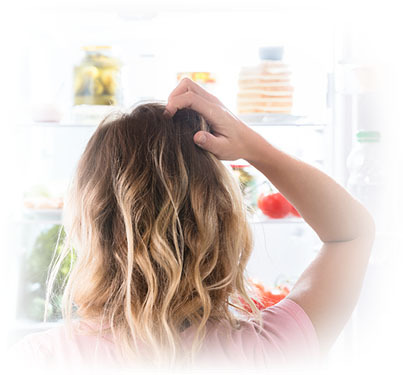 So while you’re enjoying the tasty desserts in Keto Sweets, getting the benefits of ketosis, you’ll also rest easy knowing you’re doing keto the right way. No more confusion. No more wondering if this is “okay” to eat. No more second guessing yourself at the dinner table. 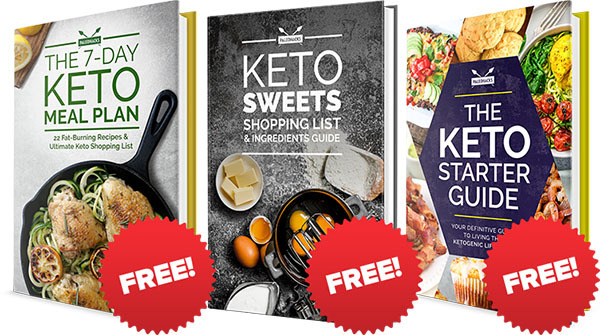 This trio of bonuses is worth $64.90… but when you grab Keto Sweets today… they’re FREE. A no-brainer, wouldn’t you agree? And I’m even going to make sure that you don’t risk a penny when you pick up a copy of Keto Sweets today. Why am I giving this away for free? I know what it feels like to try and making a difference in your family’s health and wellbeing. And I know how complicated things can get in the kitchen. I want you to know I always go the extra mile where I can. And I hope that a free copy of Keto Sweets proves just that. All I ask is you pitch in a couple bucks for shipping and handling. Believe me: these are some of the best desserts you’ll ever have… and once you bite into your first recipe, you’ll wonder how you went so long without them. You risk nothing, so why not? And all the responsibility is on my shoulders. Grab your copy today while we still have some available. Q. 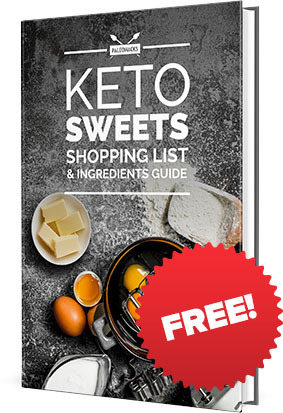 Is Keto Sweets really free? 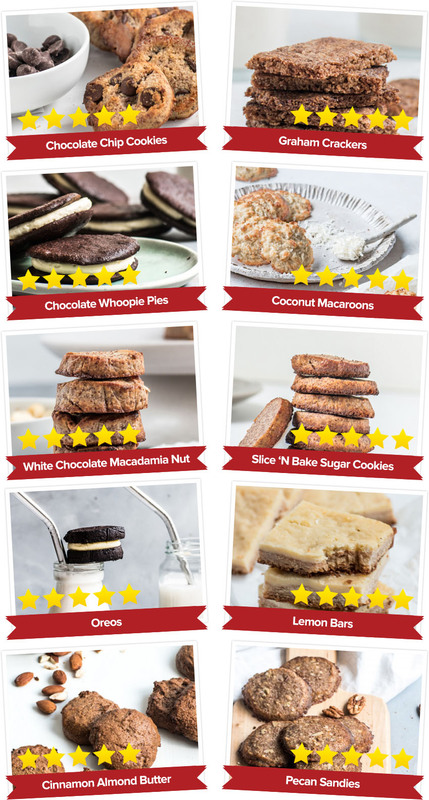 Yes, Keto Sweets is 100% free. All we ask is that you pay a small fee to cover the shipping and handling and we’ll take care of the rest. Your book is also backed by our 100% money back guarantee, so if you don’t like it for any reason, we’ll refund you what you paid for shipping and handling. And you can still keep the book even if get a refund. Q. What sweeteners are used in Keto Sweets? 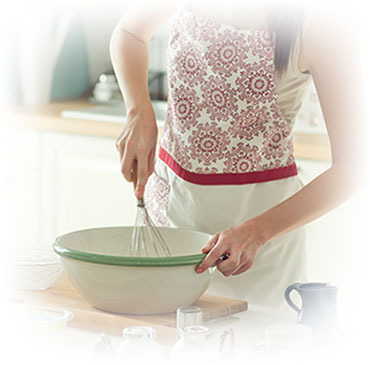 The sweeteners used in these recipes are erythritol and monk fruit extract. Both of these zero-sugar sweeteners are derived from natural sources, and they are combined to create a "full" sweet flavor instead of the normal "fake" sweet flavors associated with most sugar-free sweeteners. Q. 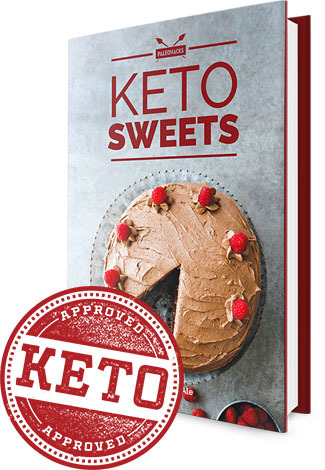 Is there a digital copy of Keto Sweets? 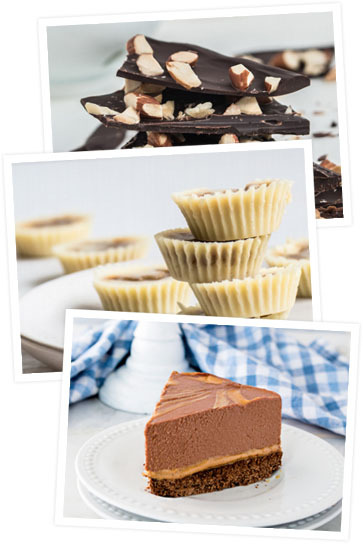 Yes, you will receive a digital copy of Keto Sweets with your order that you can download immediately. Q. Can I find all the ingredients in a normal grocery store? They’re also all on Amazon, and can definitely be found in health food stores like Whole Foods. Q. Are the desserts gluten free? 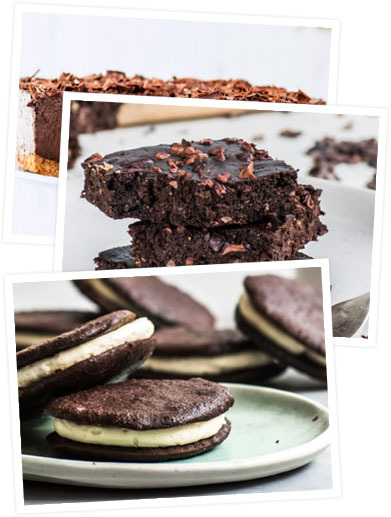 Yes, all of the desserts in Keto Sweets are gluten-free. Q. When will my book arrive? Your book will ship out either today or tomorrow if you order it today. It sually takes about 5 business days to arrive. Q. 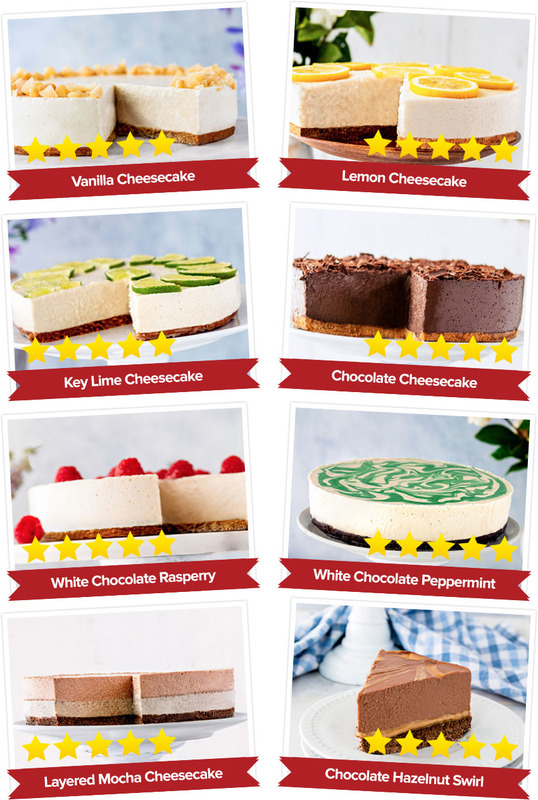 How hard are the desserts to make? 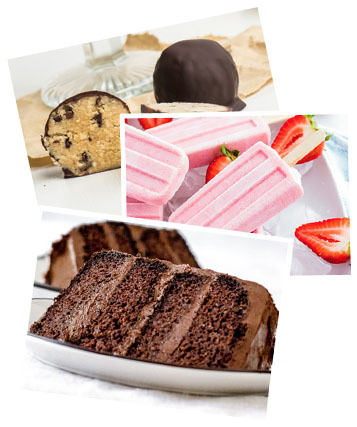 A majority of the desserts can be put together in 15 minutes or less (not including baking time) - there are a few "fancier" dessert recipes in here for those times you want to show off, but otherwise the recipes are meant to be easy to follow so you can whip up delicious treats for yourself and your loved ones with minimal effort. Q. 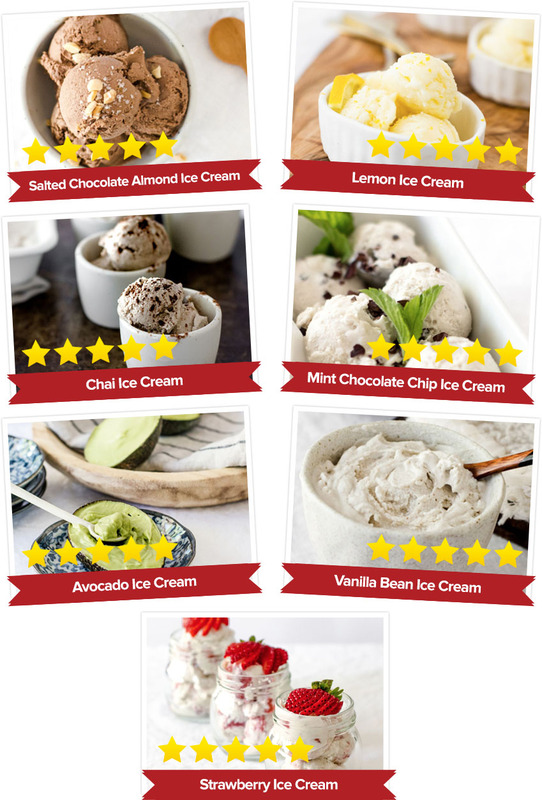 What allergens are in Keto Sweets desserts? 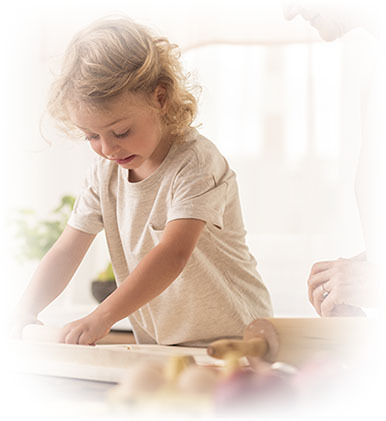 Some of the potential allergens you may want to be aware of include coconut (coconut flour, coconut oil, coconut milk/cream, and coconut butter), nuts (like almonds, cashews, macadamia nuts, and pecans), and eggs. Options for using butter or ghee in some recipes can easily be replaced with coconut oil to avoid all dairy. Q. Are these desserts ok for a diabetic or someone with blood sugar issues? The sweeteners used in these recipes are erythritol and monk fruit extract. They are derived from natural sources and are much better for your blood sugar than traditional sugar. Obviously as a diabetic, you should not be eating an entire cake in one sitting. But I believe you can eat these desserts in moderation. Q. What is the keto diet and will it work for me? The Keto Diet is a high-fat, moderate protein, low-carbohydrate diet that allows your body to pull from your fat stores. It ensures your body uses fat for fuel instead of sugar. Most people who follow it report an elevated mood, better focus, more energy, and fat loss. ClickBank is the retailer of products on this site. CLICKBANK® is a registered trademark of Click Sales, Inc., a Delaware corporation located at 1444 S. Entertainment Ave., Flr. 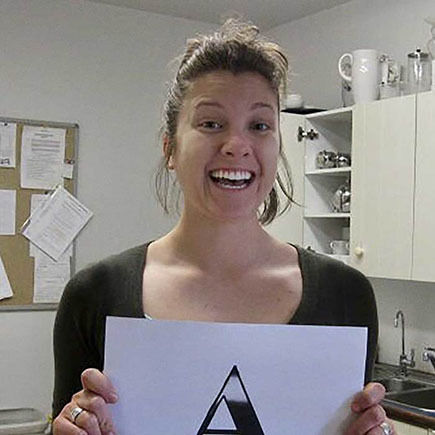 4, Boise Idaho, 83709, USA and used by permission. ClickBank's role as retailer does not constitute an endorsement, approval or review of these products or any claim, statement or opinion used in promotion of these products. 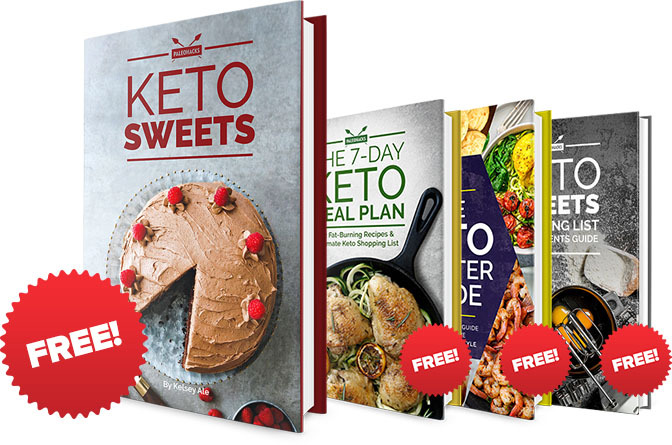 Claim Your FREE Copy of Keto Sweets Now! We value your privacy and will never rent, or sell your e-mail address.